In many parts of North America this year March rolled in like a roaring lion leaving residents beyond winter-weary and ready for a reprieve. Yes, after record snowfalls and too many blizzards to count, it’s high time for a well-deserved spring break and the city of Tampa, Florida is beckoning. Tampa is a family-friendly location that also caters to the party crowd. Its temperate climate, tropical beaches and topnotch attractions make it a triple threat vacation destination. With average highs in the mid-70 degrees Fahrenheit and a 72 percent chance of sunny skies during the month of March, Tampa’s climate is ideal for anyone looking to be outside and enjoy splashing about in warm water and catching some rays. Humidity and precipitation is also low at this time of year meaning no sticky nights and little chance of outdoor fun being spoiled by a rain shower. Situated on Florida’s west coast near the Gulf of Mexico, beaches are plentiful in Tampa and opportunities for water recreation abound. 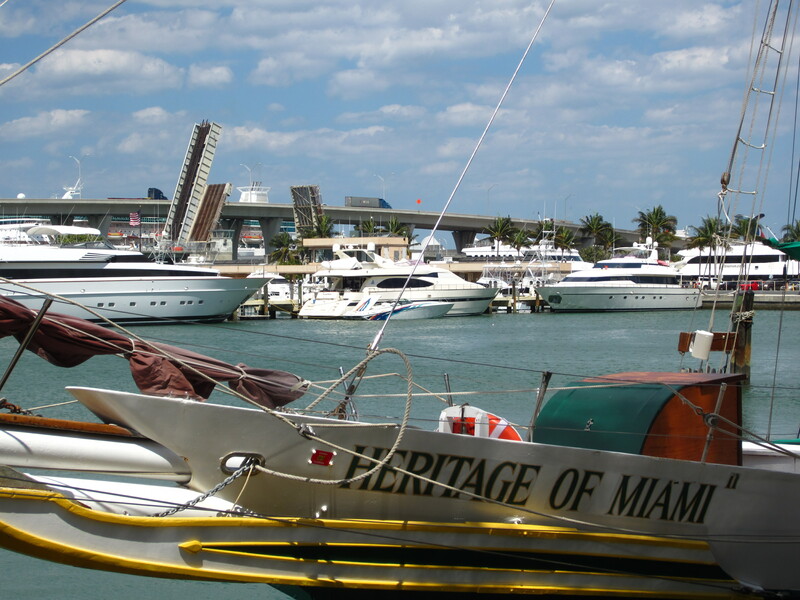 Whether you want to charter a boat, rent a jet ski, or just stroll along a boardwalk jutting into the bay the city’s glorious waterfront will satisfy your desires. 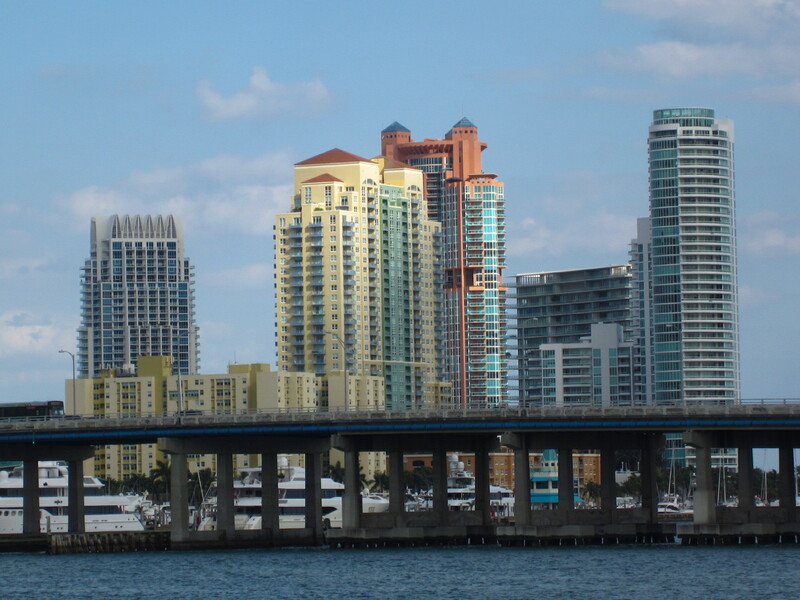 Tampa is also part of the broader Tampa Bay Area that includes St. Petersburg and Clearwater. St. Petersburg is bordered by three bodies of water offering a tremendous amount of beach front areas and the most number of sunny days in the state earning it the nickname of Sunshine City. Clearwater is home to Clearwater Beach, one of the best beaches in the Unites States and the world known for its 2.5 mile long stretch of white sand on the Gulf of Mexico. Pier 60 and the Beach Walk are popular destinations for both sunbathers and night owls. Be it a theme park, museum or historical landmark, Tampa offers several options for those seeking adventure beyond just being a beach bum. Busch Gardens Tampa is an African-themed animal and amusement park that features exhibits such as the Serengeti Plain, Edge of Africa and Bird Gardens. The park is also known for its eight roller coasters and two water rides. The SS American Victory is a museum ship that is permanently docked in Tampa’s downtown Channel District. The ship was formerly used in World War II, the Korean War and the Vietnam War as a cargo vessel transporting ammunition and other goods from the United States to Southeast Asia. Ybor City is a historical district in northeast Tampa that contains many landmarks listed in the National Register of Historic Places. The area is noteworthy for being the home of cigar manufacturers and thousands of immigrant workers who thrived in the region from the late 1800s until the Great Depression era. Ybor City was also known for its social clubs and mutual aid societies such as El Centro Español de Tampa and Centro Asturiano de Tampa that provided cultural gathering places to welcome and orient new immigrants to the city. 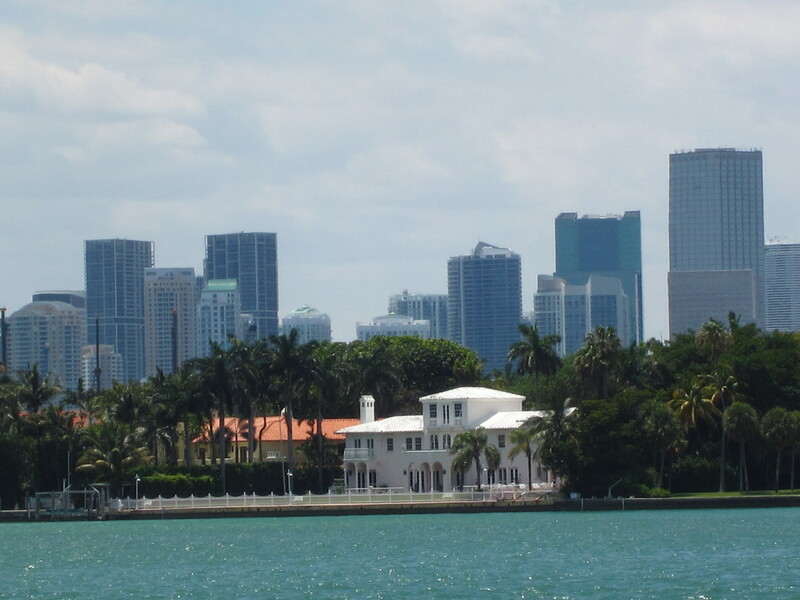 The South Beach skyline seen from Biscayne Bay. As my plane descended through the remnant clouds of a passing spring storm, the heat and humidity of southern Florida permeated my being like stepping into a steam sauna. Confirmed by the dewiness of my skin and the bead of sweat gathering at my brow, it was clear I had officially left behind the dry northern tundra of my Canadian homeland and arrived in a lush, moisture-rich tropical paradise. After a long and cold winter season, my arrival in the glorious “Sunshine State” could not have come at a better time. 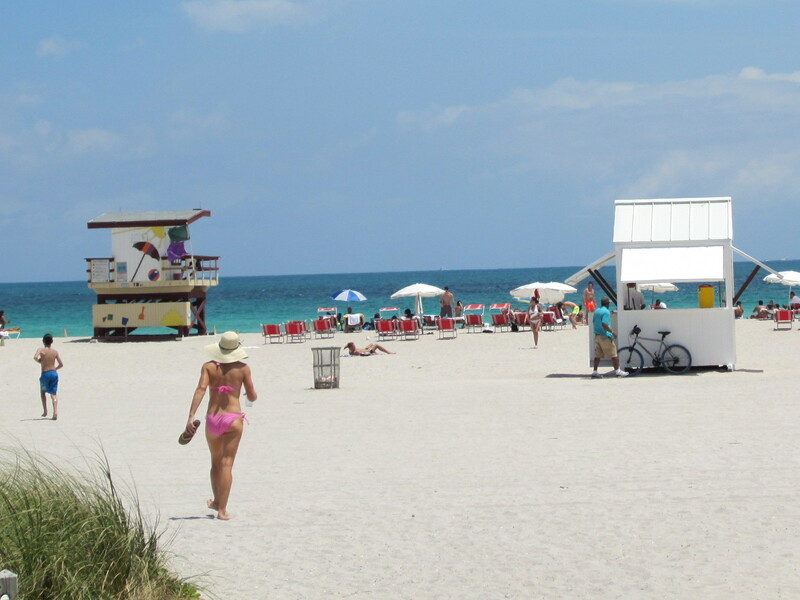 Sure, I was taking my chances with a late April vacation in Florida – spring being notorious for generally unpredictable weather – but even one day in the sun, surf and sand would be enough to chase away the doldrums of my winter blues. Thankfully, Mother Nature more than cooperated and kindly delivered a nearly perfect forecast for this time of year. 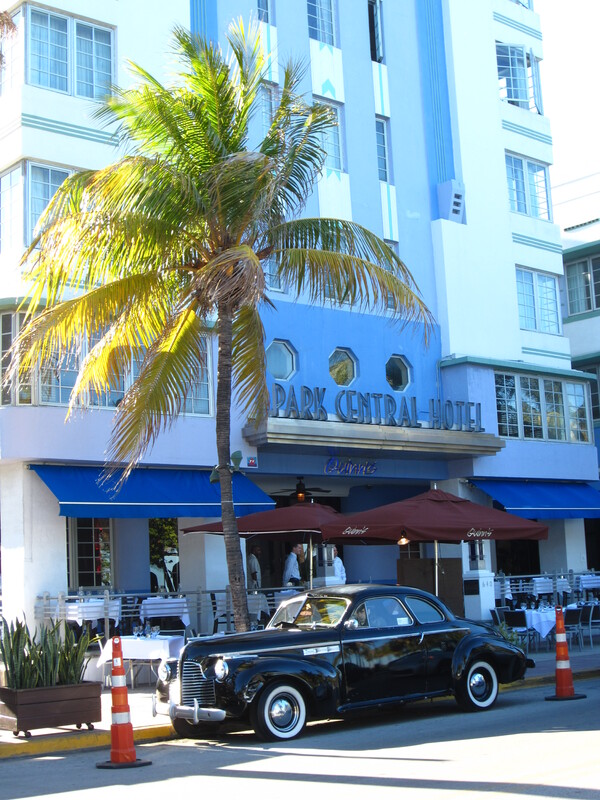 In the end, my five-day stay in the trendy art deco district of South Beach, or SoBe, as it affectionately known by locals, warmed the very depths of my sun-seeking soul. And it couldn’t have gotten off to a better start! The view from the pool…not a cloud in sight! Leaving my centrally located hotel on day one of “Operation Banish Winter,” a cloudless, electric blue sky wrapped its expansive arms around me in a generous, friendly hug. Meanwhile, the rays of the brilliant golden sun sealed the embrace with ever-increasing intensity. The sweet kisses of cool, gentle ocean breezes quickly followed; my senses awakened with the wafting aromas of freshly mown grass and exotic flowers fragrant in their full bloom. A peaceful spot to get some R&R! 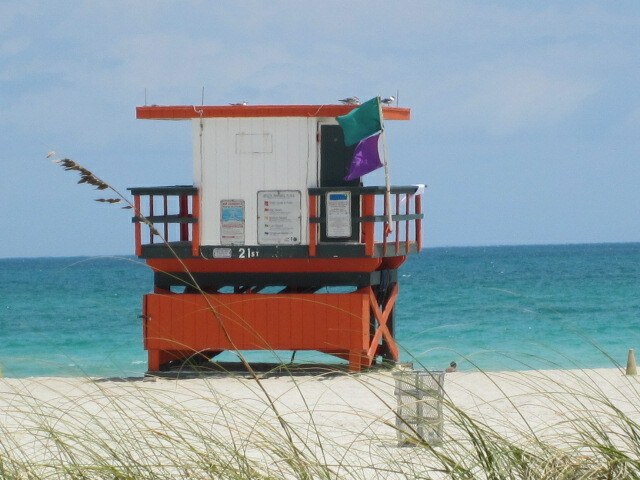 After a lovely morning greeting, I leisurely explored SoBe’s world-famous Ocean Drive. 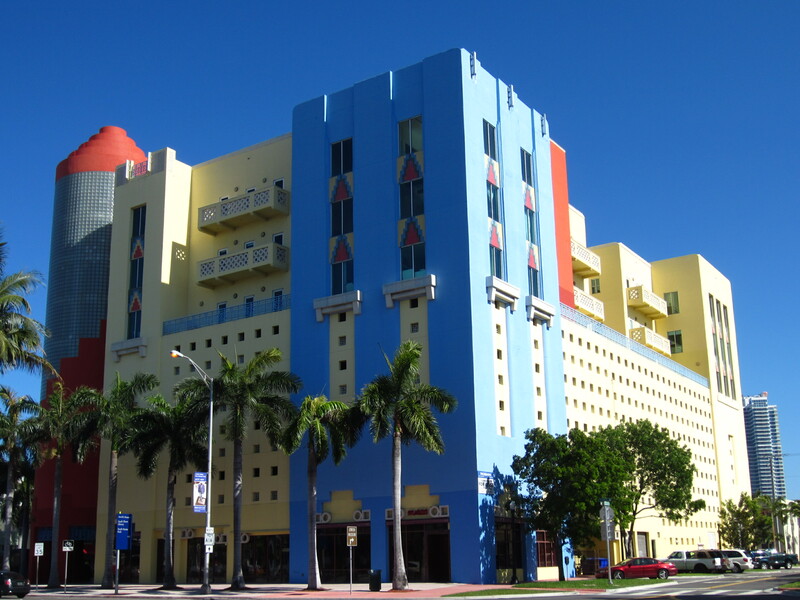 The kaleidoscope of art deco colours featured prominently in the beach-side hotels and restaurants were balanced out by long stretches of white sand and soft hues of teal and turquoise in the temperate ocean water. The waters beckoned with lapping waves that caressed the shore like the touch of a loved one`s hand. As I gingerly dipped my feet, a growing state of relaxation washed over me. I was definitely in the right frame of mind to enjoy the rest of the day. A stroll along the beach…you can just smell that fresh, crisp and invigorating ocean air! With the sun now high in the sky, it was time for some people-watching at Lincoln Road’s eclectic outdoor mall. 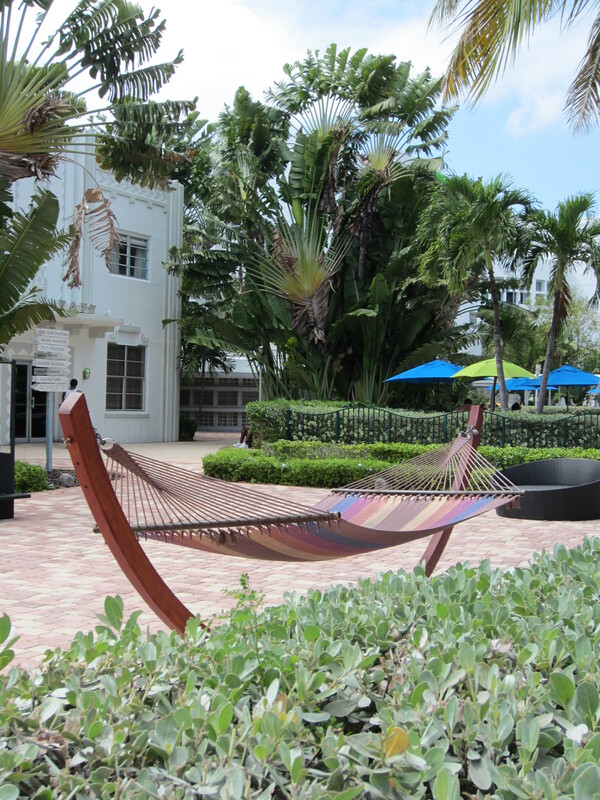 Lincoln Road is a 10-block stretch that attracts its fair share of “colourful” people traffic and is a hip place to be. But, more importantly, is the place to be seen! Offering an array of shopping and eating options covering every price point and palate preference, the rich and famous mingle easily amongst the ranks of the middle-class family vacationers, snow bird retirees, and intrepid singles all eager to experience one of SoBe’s most popular destinations. After a short break for lunch at Oprah’s favourite eatery, the Ice Box Café, my wandering ways continued in search of a little peace and quiet. 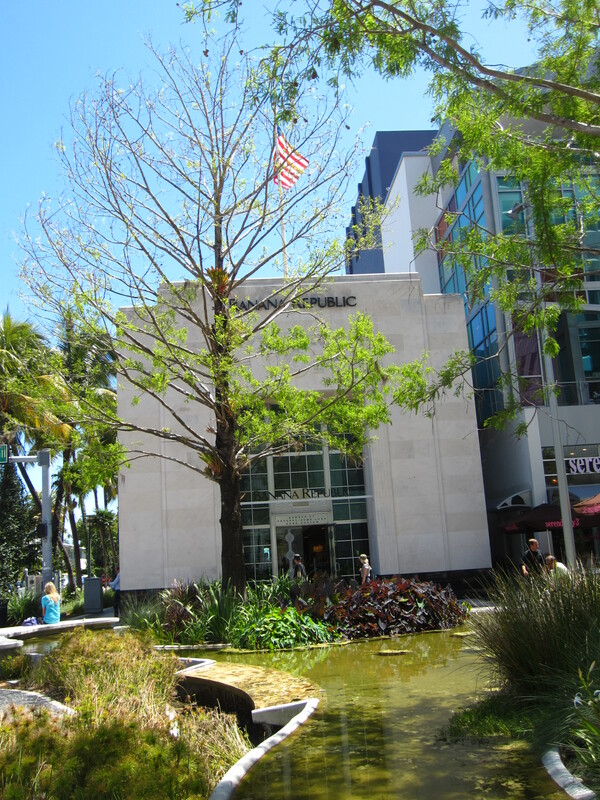 Lincoln Road offers shoppers a glorious outdoor shopping experience. Not far from the frenetic fare of Lincoln Road, I came across the historic haunt of Espaňola Way, another delightful gem in this jewel of a city. 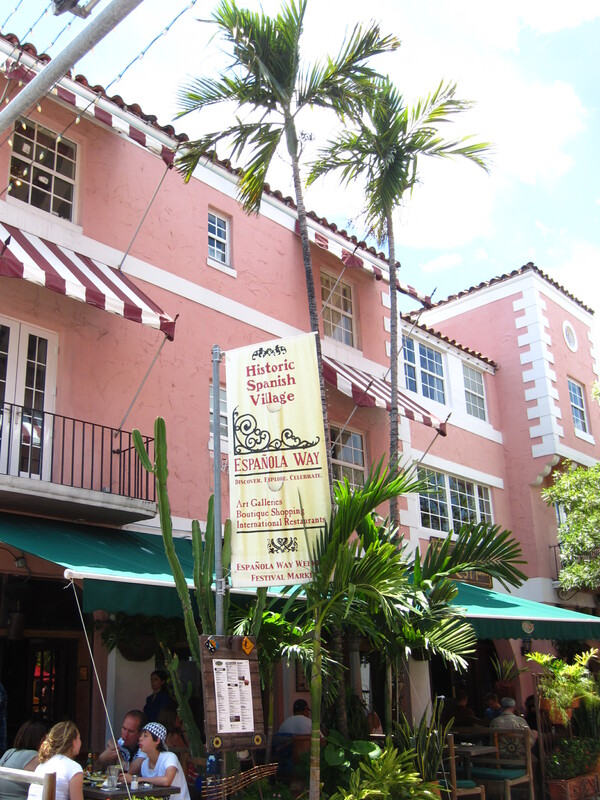 “Discover, Explore, Celebrate” is the motto of this quaint, tree-lined corridor of art galleries, boutiques and Spanish-themed restaurants. Many of the buildings in this region are constructed with traditional materials, such as clay, commonly used in Spanish-style architecture. Colourful exteriors abound with bright green awnings, white window boxes, and copper-tiled terracotta roofs adding to the picturesque scenery of this old world setting. A visit to Espaňola Way is like taking a step back in time in the midst of a modern urban centre, and it’s a journey well worth taking. I was quite content to spend the balance of the day strolling through this treasure-rich district, but there was more to do and Cuban food was calling. A little taste of Spanish culture. 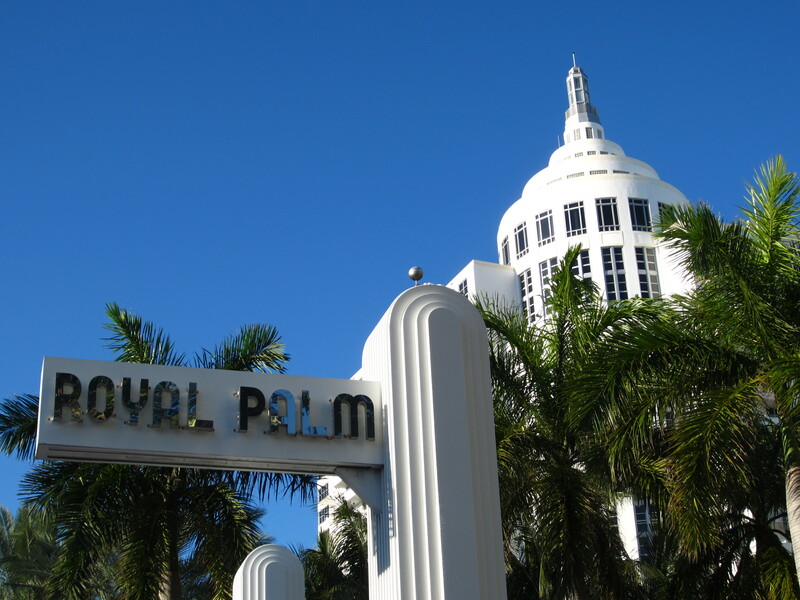 Making my way over to Collins Avenue, I was soon returned to SoBe’s cosmopolitan clamour and the main hub of Cuban cuisine. David’s Café is known both for its 24-7 operation and its version of the medianoche sandwich, popular as a midnight snack in Havana night clubs, but served at David’s any time of day. This multi-layered treat consists of roast pork, ham, Swiss cheese, mustard and dill pickles all piled high on sweet egg dough bread and served warm, with a side of fried plantains. Sinking my teeth into this carb-heavy meal, I realized it was a good thing I was on foot for this trip…I was going to need a lot of exercise to work off the extra calories. 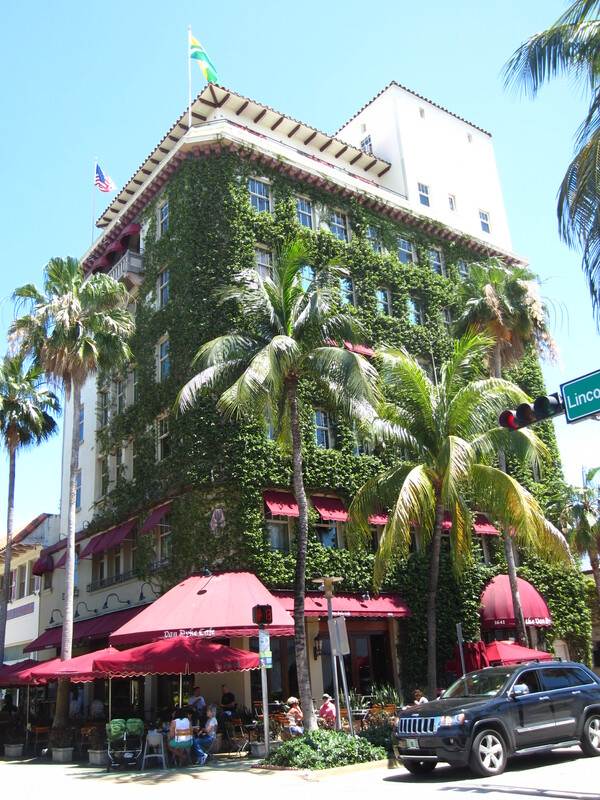 Collins Avenue is a hot spot for fine hotels and popular, trendy eateries. With the day now fading into night, I arrived back at my hotel fully spent from “Operation Banish Winter” activities, but was looking forward to more of the same over the next four days. I am happy to say that SoBe delivered, and then some. It was the ideal spot for this weary traveller to enjoy a much-needed spring getaway and, who knows, it just may be the cure to your own case of the winter blues! 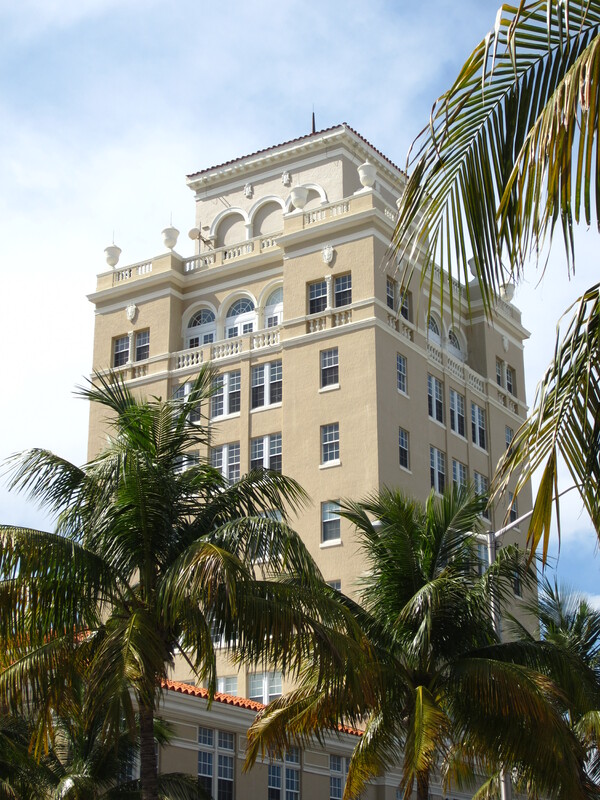 Another must-see sight: SoBe’s majestic Old City Hall. 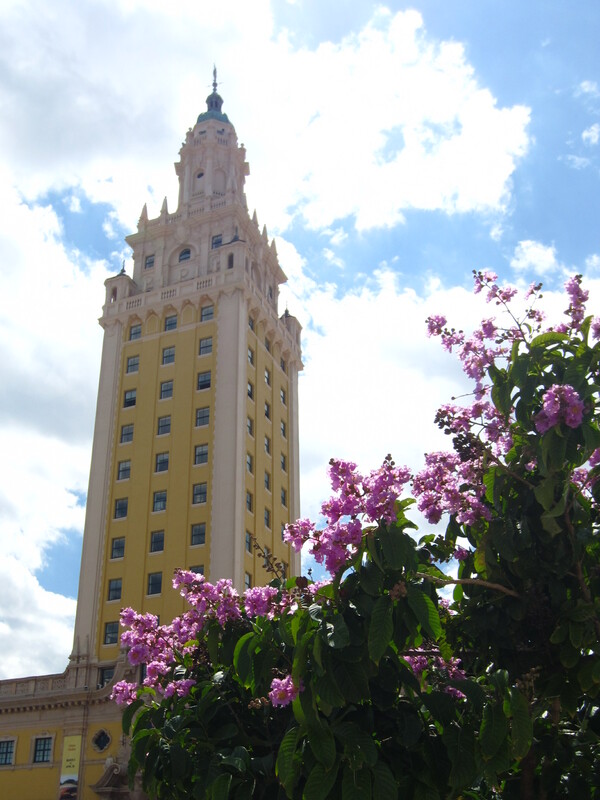 The Freedom Tower in Miami – a safe haven and refuge for exiles fleeing Communist Cuba in the 1950s. making for a magical musical ride. 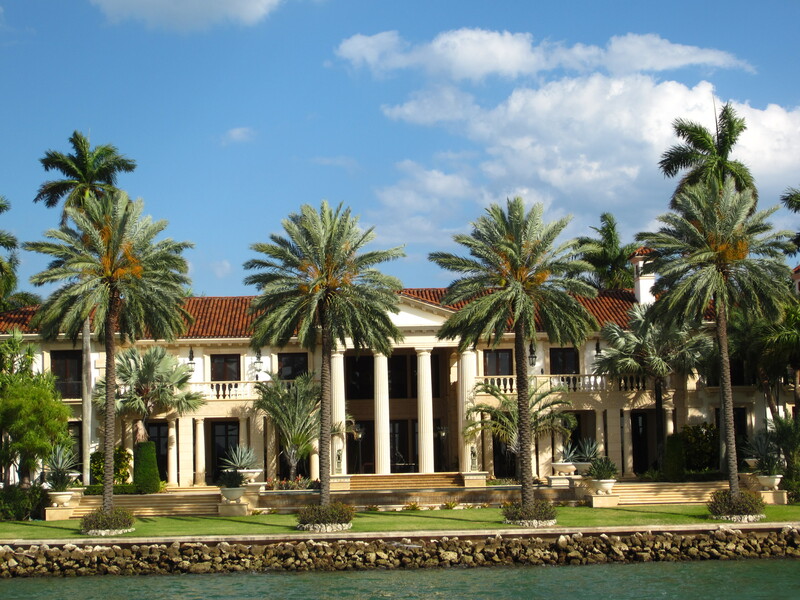 The famous white mansion where Scarface met his demise and, ultimately, his maker! a kaleidoscope of colours explode wherever you go. 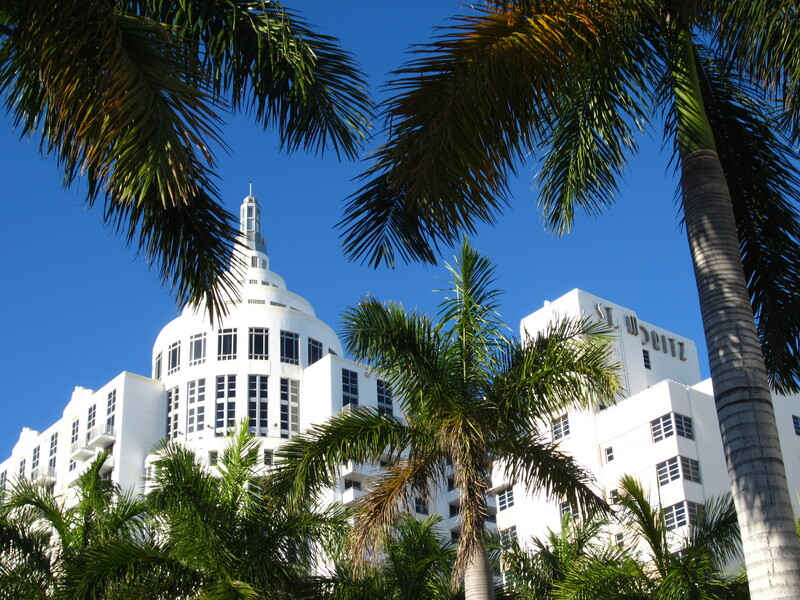 South Beach’s Art Deco style at its finest…what a cheery building to work at! vessels of all shapes and sizes add to its charm. off to exotic ports of call for many a day. 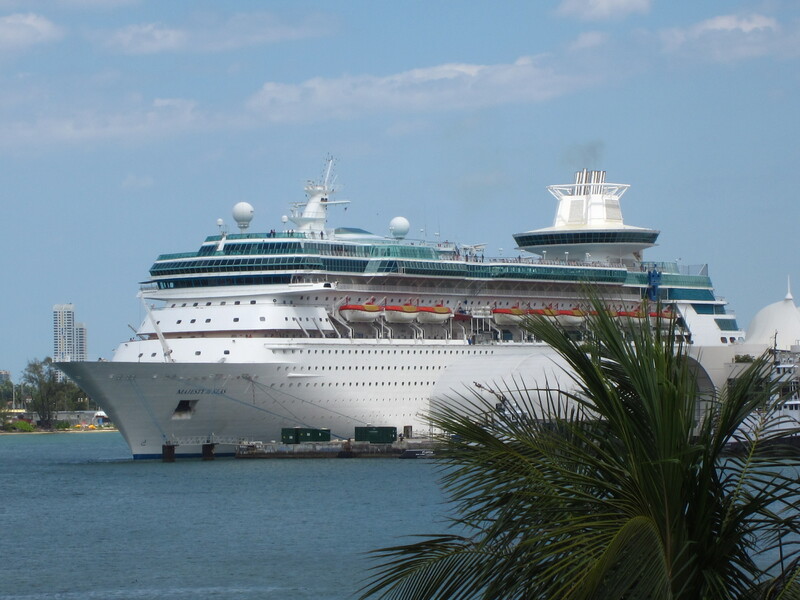 Miami is the cruise ship capital of the world. leaving little doubt of their financial success. The “come as you are” party scene in South Beach is quite a sight! 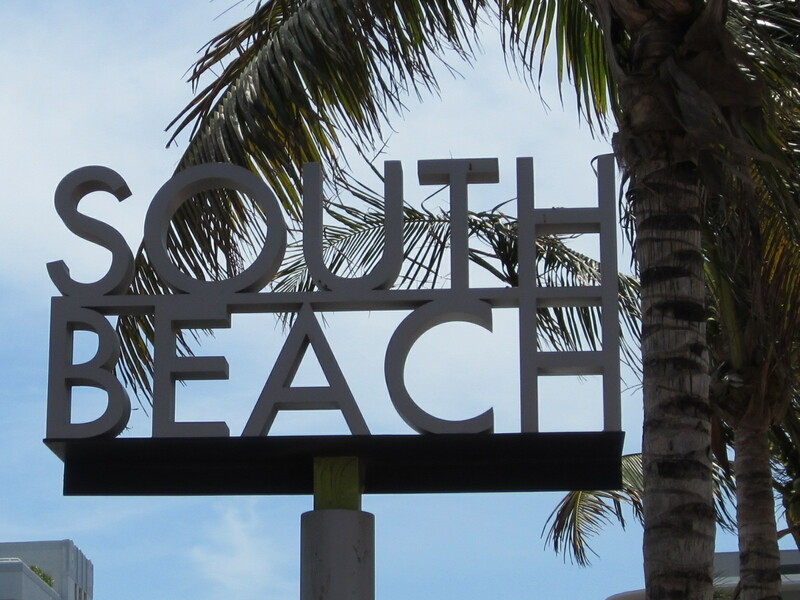 Welcome to South Beach (a.k.a. SoBe)! it is the ideal place to be if you want to be seen. The site of “Nick’s Bar” from Casablanca…Play it again, Sam! designer shops and five-star restaurants cast a spell of enticing magic. 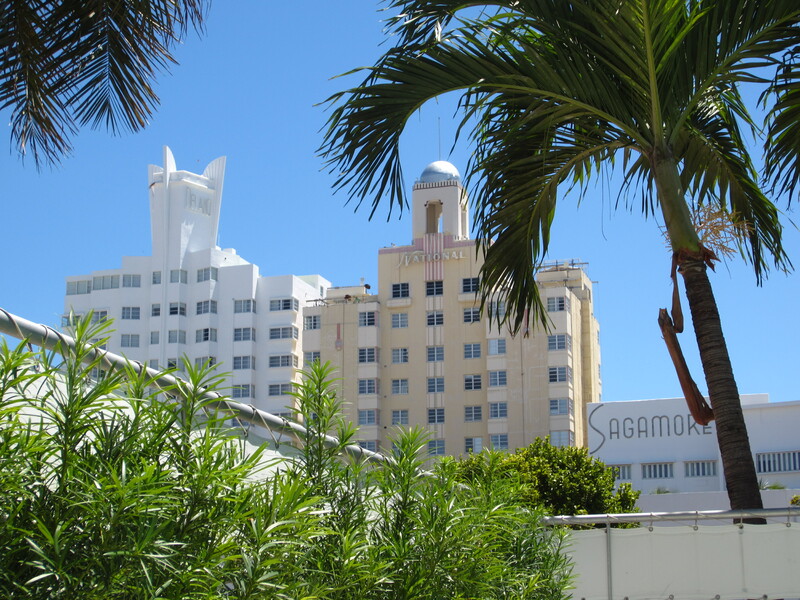 The Lincoln Road outdoor mall bustles from dawn ’til dusk. of happy vacationers passing the time away. Hotel Row along Collins Avenue. EVERY day in south Florida is a wonderful surprise!